In a recent post, I mentioned that Jeremiah Owyang pointed out that "Retweet" (sharing a link or tweet from one of your followers with your followers) is a social gesture indicating endorsement of an idea and predicts that there will be an analytics tools to measure this. Plodt plots your professional or personal life, interests, activities, and moods on Twitter. Basically you can categorize your Tweets so that you can analyze them as an individual as well as compared to the community at large. Twitt(url)y is a service for tracking popular URLs people are sharing on Twitter as a way to identify trends, topics, and new and interesting tools and services. It's basically Techmeme or Google News for Twitter, but for all popular links shared in a given day. Favrd (pronounced Favored) is a service that channels the most "favorited" tweets on Twitter. You can search by keyword and also see who else has favorited a particular tweet in order to identify like-minded contacts. 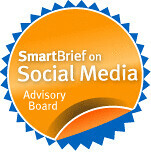 TwitLinks aggregates the latest links from the worlds top tech twitter users. Twist analyzes and presents trend comparisons and volume between keywords and tags. It looks like a mapping tool in the works that will let you visualize your Twitter network by retweets from Dan Zarrella. (hatip stacymonk) He collected over 84,000 retweets. to help build this system and has shared some analysis of these retweets. I'd use something like this to identify influencers in my network whose retweets had reach or velocity. I'd also do an analysis of the content and construction of the retweets to see which ones worked best for me - sort like the ongoing refine you do with google ad words or SEO. I wonder how Laura Lee Dooley would use this tool? If you had an analytics tool to track your organization's use of Twitter, what metrics would you track and how would you define success?